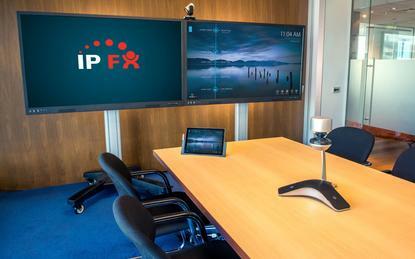 IPFX has been appointed to the Telecommunications-as-a-Service (TaaS) panel in New Zealand, providing unified communications, contact centre and meeting room services. Leveraging Cisco and Microsoft capabilities, the business specialises in collaboration technologies, such as cloud services and video conferencing, as well as professional services through installations and network assessments. “The investment we’ve made in the development of our people, software, and infrastructure as well as building our strong partnerships to enable consumption based communications and collaboration services reflects our commitment to the Government of New Zealand and its drive to increase digital capability and collaboration,” IPFX CEO, Kevin Plumpton, told Reseller News. Drawing on more than 22 years of local market experience, IPFX has a track record of delivering integrated cloud-based and hosted solutions to government, leveraging professional services, development and support capabilities. “The islands of communication that the major telecommunications providers have been implementing for years have resulted in disparate systems and excessive integration and maintenance costs,” IPFX head of sales, Steve McGinn, added. As an independent New Zealand software provider, IPFX operates across Auckland and Wellington, alongside presence in Australia through Sydney, Melbourne and Brisbane offices, in addition to the UK. The addition follows the expansion of the panel of suppliers appointed to provide telecommunications services to New Zealand Government. According to the office of the chief digital officer, the move is designed to create more choice for Government agencies with new suppliers and services across four service categories, including: communications, connectivity, contact centre and managed security. Specifically, 12 new suppliers have joined the panel and some existing TaaS panel suppliers have expanded service offerings, with 66 per cent New Zealand-based businesses. “This is a great example of how we’ve engaged the market and connected it with agency needs, all the while growing and supporting local talent,” TaaS general manager, Chris Webb, added.